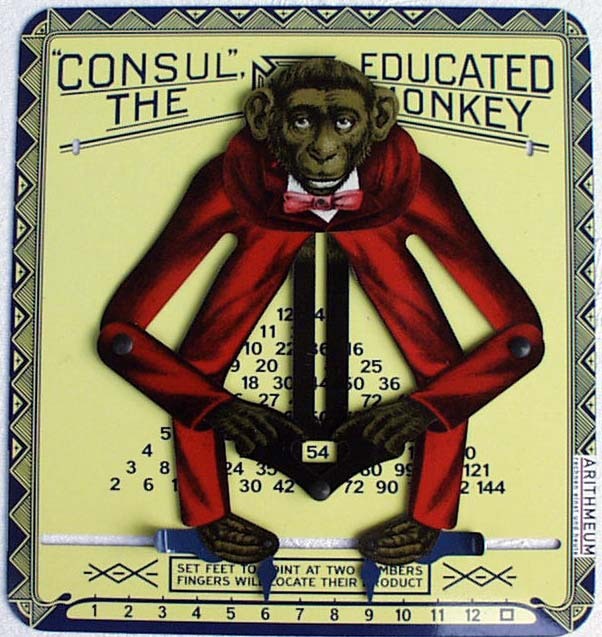 The 'Educated Monkey' was patented in 1916 by W. H. Robertson. It is a toy 'for educational purposes ... to stimulate the interest of children in the study of numbers'. You can add or multiply the two numbers. Use the cross hair cursor and click to set a foot on a number. Repeat to set the second number. To set the same foot again, press command key to catch it, then release the key and click. in sum mode set the right foot on 'D' to read the double of the numbers. Check the box to reveal the geometric construction. Hence the quadrangle JLKD is a rhomb. The angle between the upper arm (red) and the leg (blue) is φ = 45° in my simulation. 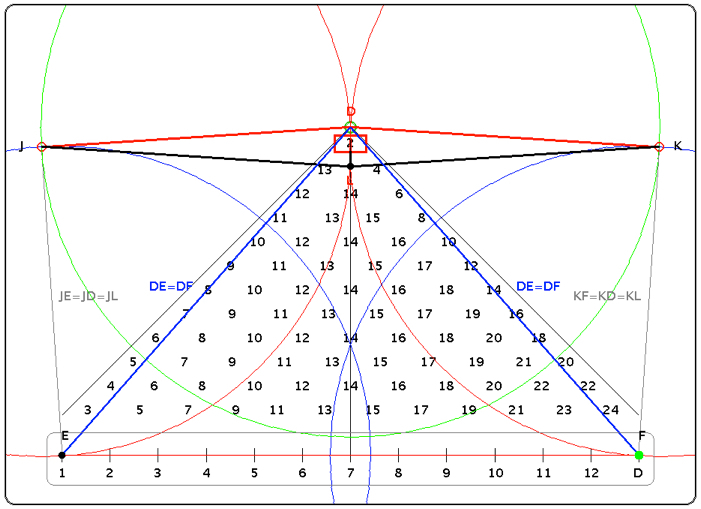 Then the triangle of the number table is including a right angle at its top. the indicator for the result is moving along a straight line with slope m = 2*sin(45°)/sqrt(2) = 1 or 45°.